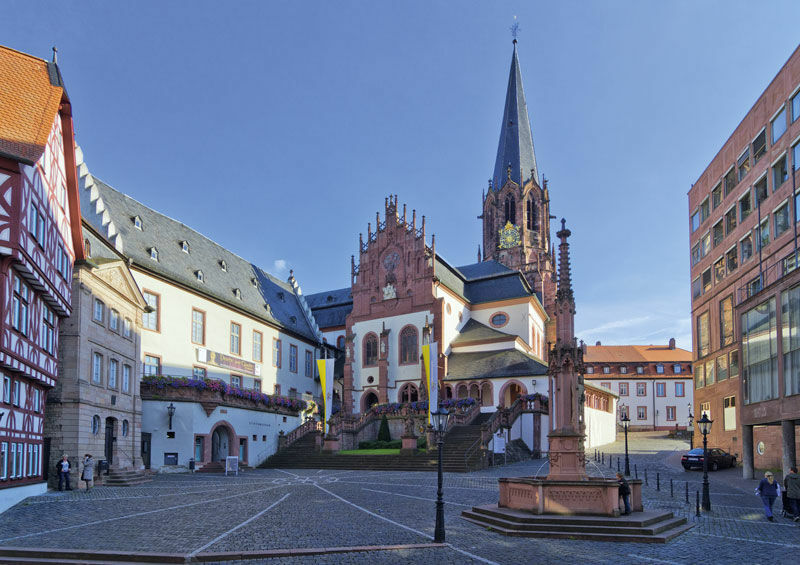 An impressive collection of buildings has stood upon Stiftsberg hill in Aschaffenburg for more than thousand years: The Collegiate Church. 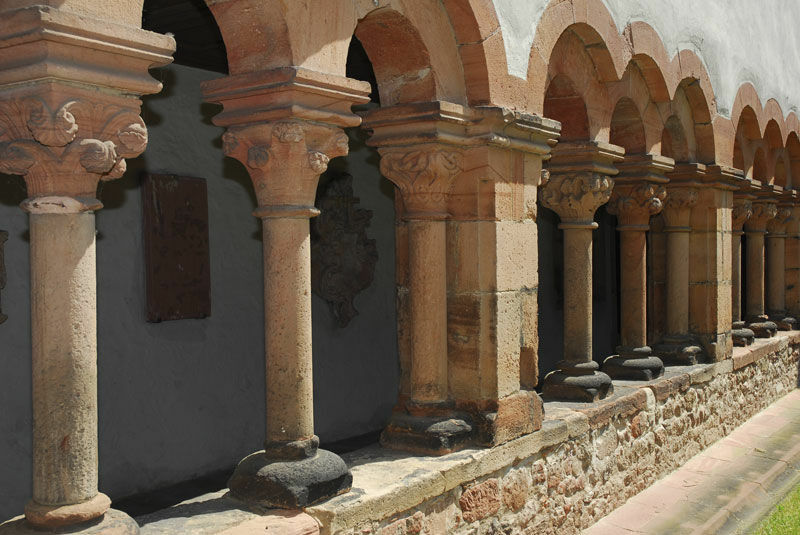 It was built in the 10th century as center of the collegiate foundation St. Peter and Alexander and experienced many changes by destructions in the course time. Until 1803 the Basilica was a symbol for spiritual power of the archbishops and electors of Mainz. The most impressive art treasures are the "Stuppacher Madonna" and the "Lamentation of Christ" of Matthias Grunewald. The exhibition "Splendour and faith in the Middle Ages" has been on public display at the abbey museum. 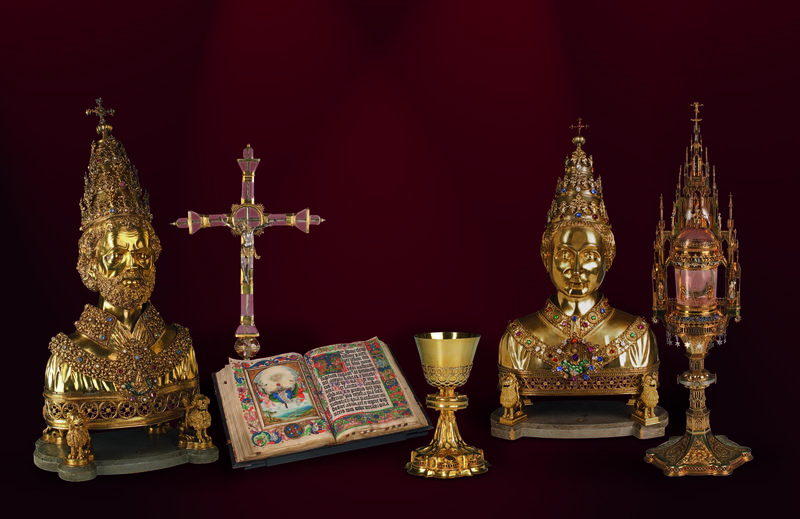 The precious treasure St. Peter and Alexander is a real medieval treasury which impress with objects of silver, crystallized quartz, gold and valuable illuminations. 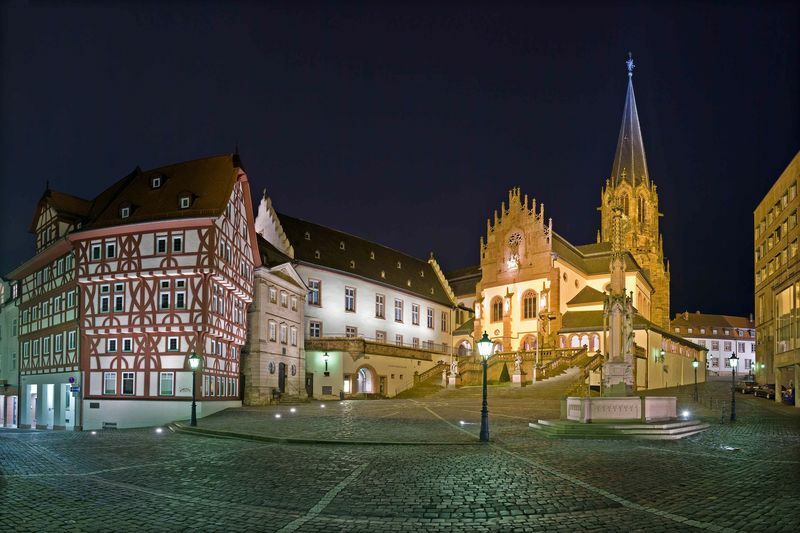 The center is the famous Altar of St. Magdalene from the studio of Lucas Cranach the Elder.